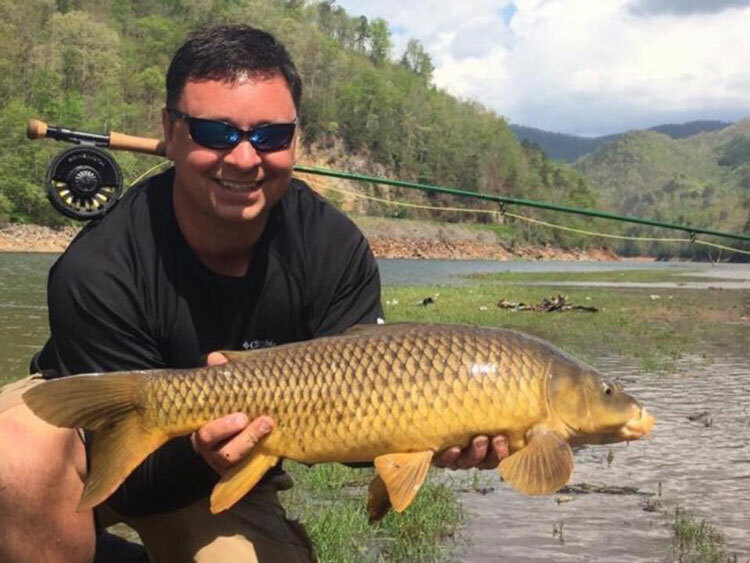 a true native to the Smoky Mountains and third-generation fly fishing guide who’s taken his love for both his home and sport and turned it into his full-time gig. 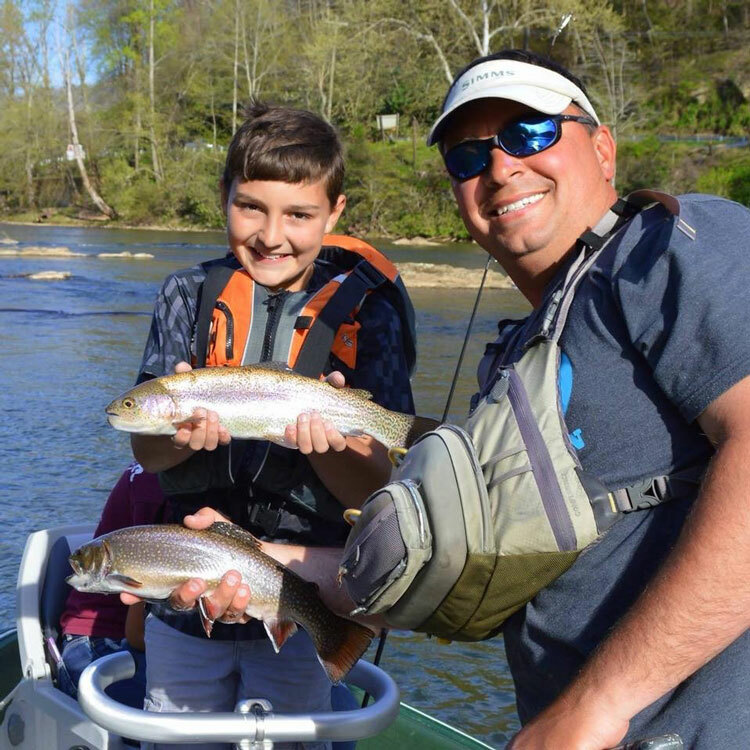 Shuler is the Lead Guide of Fly Fishing in the Smokies and was recently inducted into the Southern Trout Legends of the Fly Hall of Fame, which makes him the youngest person to ever be inducted. Many are impressed to learn that Shuler has also fished with some of the world’s best anglers and guided celebrities from around the world. Though this is impressive, Shuler is a big deal all on his own. At a young age, Shuler realized what he wanted to do with his life and that was to be a guide in his beloved Smoky Mountains. Ever since then, he has done everything he can to give his very best toward his passion. He became a licensed captain by the United Staes Coast Guard, earned a degree in Outdoor Leadership and a Fly Fishing Instructor Certification from the Wulff School of fly Fishing in New York, and graduated from Hubbard’s Guide Academy in Montana. Along with his impressive credentials, his experience in competitions and guiding is extensive. Shuler has placed, won, and set state records at various competitions across the country. He has been guiding for 23 years and has spent 340 guide days on the water. 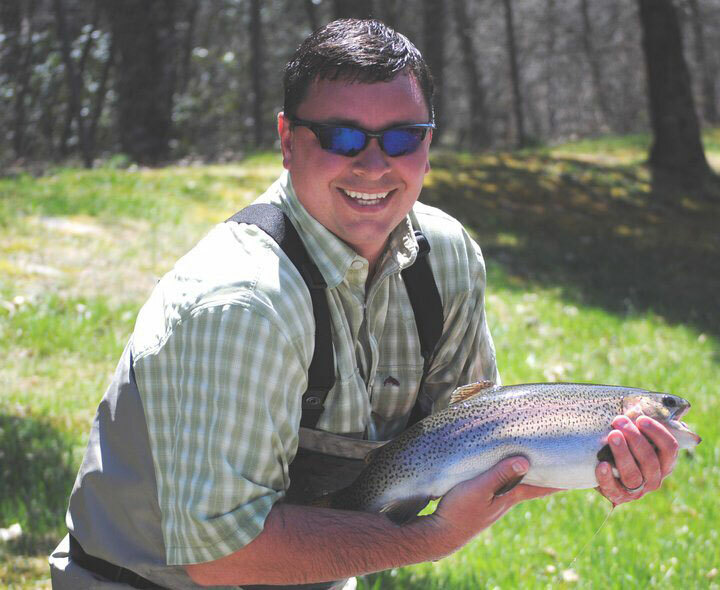 Off the water, Shuler is an active member and natural deep-rooted leader in the Smoky Mountain fly fishing community. He is a member of the International Game Fish Association, Federation of Fly Fishers, American Casting Association, Captains for Clean Water and Trout Unlimited. If that isn’t enough, he is also the Founder and President of the Board of Directors of the highly successful North Carolina Fly Fishing Team. If what Shuler says is true, “You’re only going to be good at what you are passionate about,” then it’s safe to say that he is one passionate fly fisher. BRO: What qualities does a nominee for the Legends of the Fly Hall of Fame Possess? 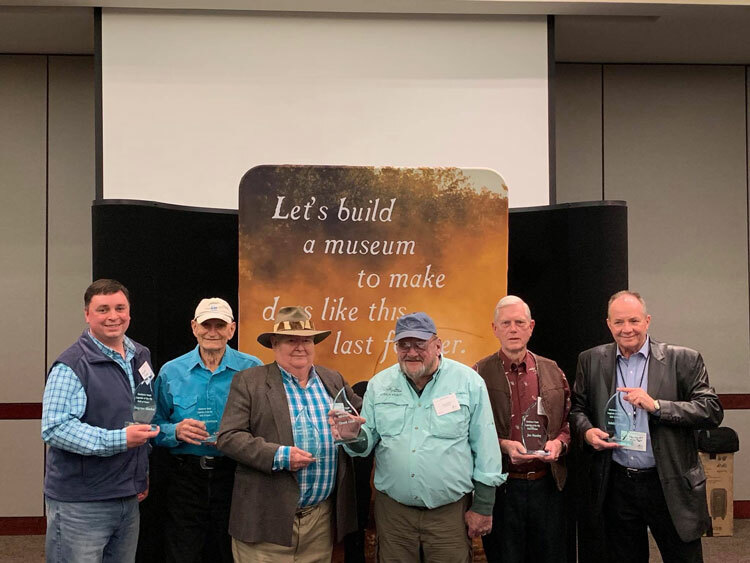 Shuler: The Southern Trout “Legends of the Fly” Hall of Fame was first to recognize and commemorate Southern trout anglers’ historical contributions to fly fishing. Potential candidates are nominated by the readers and emailed to Southern Trout Magazine’s Hall of Fame panel. Readers of Southern Trout then cast ballots for the people they feel should be inducted into the HOF based their contributions to the sport. Nominees can be from any time period in the history of southern fly fishing, so candidates include both living and posthumous individuals. BRO: How long have you been involved in fly fishing and the fly fishing community? Shuler:I’ve been involved my entire life. As far back as I can remember most everything we did as a family revolved around fly fishing and roaming the Smoky Mountains. I’m a third generation guide and as such followed my Grandpa and Dad all over the streams. My grandpa started guiding in 1946 after he came home from World War II and continued until he had a heart attack streamside while fly fishing with me as a kid. BRO: Whats your experience in the fly fishing industry and community? Shuler: I started guiding straight out of college in 1997. I guided sporadically for a local fly shop for a short period of time. At the urging of my parent’s I started my own outfitter and just focused on the things that I knew. Which was teaching people about the streams and rivers inside the national park and few outside that I felt completely at home on. The Tuckasegee River and Nantahala river of course being two of those. I started into competitive fly fishing in the late 1990s. Quickly, I became consumed with competing and would travel all around the country to anything I could find. Then I became involved in the OLN Fly Fishing Masters and then the Fly Fishing Team USA scene. 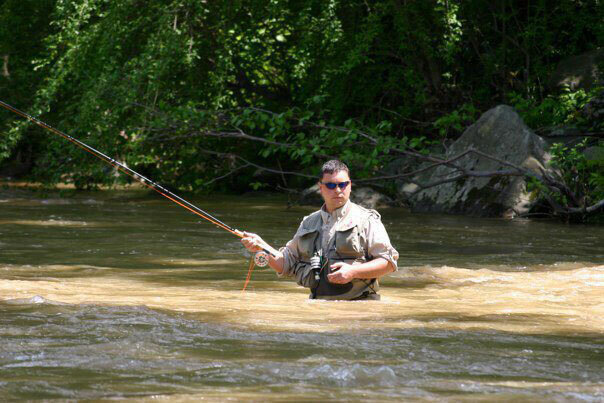 In 2006 I formed the North Carolina Fly Fishing Team which was the first regional fly fishing team in the country. 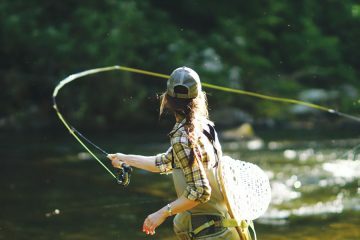 From that point we collaborated with friends in other states to form their own regional teams and start competing and growing the sport of competive fly fishing. We organized fly fishing competitions all across the region. For several years I owned the Rumble in the Rhododendron tournament and later gave it to the NC team and then we gave it to the tribe. Its now still going strong and is one of the richest payouts in the country for fly fishing comps. My competition days are behind me now. It was an interesting experience and one that I cherish. I was fortunate enough to learn from some of the best anglers in the world and I feel my skill set really grew. However along that journey I was loosing out on what meant the most to me about fly fishing – teaching people on the water in the Smokies. So around 2012 I stepped away from competitions and just focused on guiding and growing my company. Several years back I reached out to the Bryson City Chamber of Commmerce and Toursim Development Authority. The goal was to create a Delayed Harvest section on the Tuckasegee River in Bryson City. The idea was well received by all, and I was asked by the mayor and county commissioners to spearhead the project for Swain County. That was a fantastic experience as I got to work closely with the Wildlife Resource Commission and our state legislators and local politicians in creating Bryson’s Delayed Harvest. to see this project happen and now what was already a good trout river is even better. Along the way, Bryson City is now recognized by the state as a Trout Town and we have several streams classified as Mountain Heritage Trout waters. 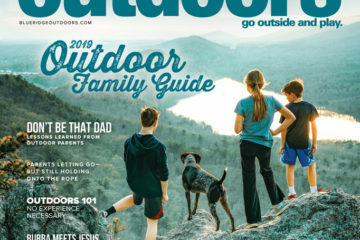 I also helped in creating GreatSmokiesfishing.com which is a fantastic source of information along with maps on a myriad of trout streams and lakes in Swain county. I’m really happy to have worked on something that would help our county and bolster tourism which is where most of Swain counties residents depend on for industry and work. BRO: Describe your journey with fly fishing. Did you ever think it would bring you where you are today? Shuler:When asked the question in school, “what do you want to be when you grow up?” Some kids want to be a fireman or police officer. I wanted to be a fly fishing guide. From the time I was 9 or 10, I knew without a doubt that I wanted to be a guide. That was back when this sport was really obscured and wasn’t in the hip scene like it is today. That was back in the very early 80s. You didn’t really hear of many guides in our region—just grandpa, and my dad later on. I grew up listening to tales of legendary old Smokies guides such as Mark Cathey and Sam Hunnicutt here in Bryson City and of Wiley Oakley in Gatlinburg. These gentlemen were long gone before I was born. BRO: What does this nomination mean to you? Shuler:Being inducted into the Southern Trout Hall of Fame means a lot to me. I know that’s sort of generic answer, but its hard to describe. 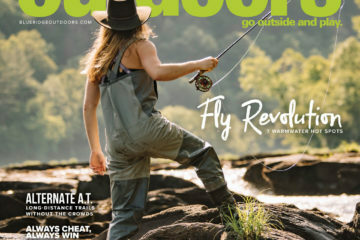 I know several of the folks who were inducted in previous years before me and of course I recognized many of the folks inducted this year, and each one of them has made lasting impacts on fly fishing here in the South. So to be considered in the same league as all of those great folks is really humbling. To me this sort of like winning the super bowl of my little world of fly fishing. Its the biggest honor for me to date and I’m truly humbled by it. BRO: What makes your shop in Bryson City different from the rest? Our shop offers true local knowledge of the Smokies and surrounding rivers. Its one thing to live somewhere for a few years and claim to be an expert, there’s so much of that on social media these days. It’s another altogether to have grown up your entire life and have done nothing but fly fish, even more to have grown up in a family where for generations, thats all you have done. My family was some of the first to settle the Smoky Mountains, owning most of Deep Creek and what was to be Bryson City later on. So my roots run deep in the Smokies. Knowing the human and natural history of the park and the ecology really makes a difference in the quality and accuracy of advice you can offer visiting anglers. BRO: What goals do you have for yourself and or your shop? Shuler: Without tipping our hand too much, I’m happy to share a little bit. We plan to add a few more retail locations in the near future, one has already been announced which is in Gatlinburg. We’ve had an office there for years but will be adding a fly shop soon. Currently, we are putting the finishing touches on a newly built cabin on our private water at Brook Haven, which is one of the most beautiful streams in the region. Three massive private waterfalls and 1.5 miles of wild and stocked trout. It’s absolutely gorgeous and very exclusive with only four anglers per day. Brook Haven is an incredible experience. We have filmed several TV shows coming out this Spring on the Sportsman Channel and are working on a few more. Thats all been some great fun and something that my family was able to participate in as well. BRO: Any advice for a fly fisher who looks up to you? Who do you look up to? Shuler: I believe God gives everyone a talent. It’s just up to us to recognize what he gave us and do something with it. I don’t know if I’m talented or not, but by process of elimination, there’s not much else I know how to do! My advice to any fly fisher is: you’re only going to be good at what you are passionate about. So if you love something, take the time to work on your fundamentals and practice. Don’t just head out the door and go fishing. Get out in the back yard and practice your casting, practice tying knots. Really study the hatches and roll rocks to see whats outs there and match it. Sit on the stream banks and don’t cast. Just watch whats going on. Sit for a hour and just watch and learn. There’s a whole other world going on underneath the water and its so much different than ours. Take the time to learn what’s happening under there. You’ll be a much better angler for it. One person I look up to would certainly be Jim Estes of Bryson City. He’s easily the best fly fisherman I’ve ever seen and the most inquisitive. His knowledge of the Smokies streams is unrivaled. 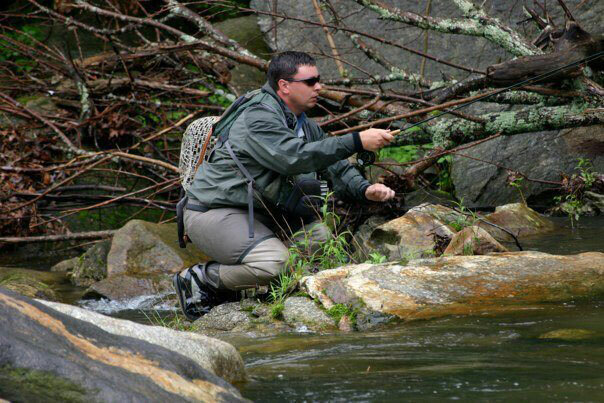 In my opinion, he is Yoda of the fly fishing world. I’m sure that statement would probably embarrass Jim as he’s the most humble fisherman I know. Bob Jacklyn in West Yellowstone Montana. Jack is one of the nicest, most genuine people you’ll ever meet. He is a western fly fishing legend and a wealth of knowledge. 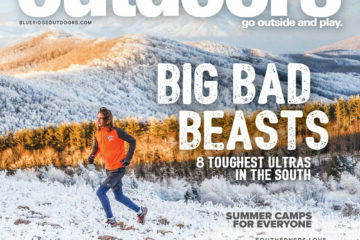 Kenny Palmer from Black Mountain North Carolina. Kenny has been guiding a lot longer than I have and is the one guide locally that I look up to. Always professional on and off the water and a wealth of knowledge. Don authored one of the top books on Smokies fly fishing and its the one I grew up reading. He is a super nice man and has done tremendous things for southern fly fishing. And lastly my good friend Jim Casada from Bryson City. Jim is one of the leading authorities on all things Smoky Mountains. He is particularly great with the human history of the park and a keen fly fisherman. I learn so much about the Smokies and its history every time I visit with Jim.